Meat is Meat in the freezer. I will take a doe every year and mark that as a WIN!!! hope to run by ya one day, I'd like to meet up with some local hunters. I have heard some people around these parts and cooper can be kinda not so friendly.... Kinda aggravating, were all out there just trying to enjoy our time with nature and tag some deer. Going to run a camera out to a new spot my buddy told me about tomorrow morning. What's up BPurvis! Isn't that still Bow only? I bet there has to be some Really nice deer up there along that red river and no Rifle hunting for several years. Hey man! Yeah it’s bow only out there. I’ve got 3 cameras running so far and just got another one I’m gonna stick out there tomorrow. 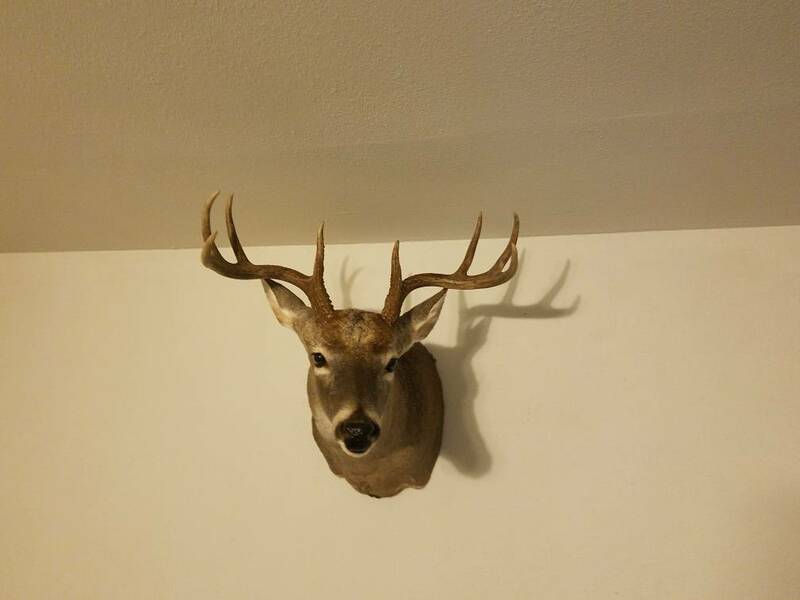 I did a hang and hunt out there last season and saw a really nice buck, but I couldn’t get a shot off. So far I’ve got a bunch of does on the camera. One I was after last season. They are out there. Heck yeah man. I hope you stick one this season! same you to pal, Did you not like cooper as much last season? I have personally seen a giant come out of there 4 seasons ago. Ran out this evening and put a cam on corps in a spot my buddy told me about, hopefully will start tracking some bucks. Trail was highly used so hopefully I get a crap ton of pics. Man I hope so! It's always good to see public land photos and good to see people that hunt public land be successful. Yeah lot of woods out there to know where I am also! Lol. It's public land unfortunately. Someone is bound to stumble on them. Wish ppl would just be like me and walk on by if I see a camera or stand. Hell if I am within camera range when I spot one I will typically wave at it lol. You know, I haven’t come across one another camera (that I know of) scouting or hunting out there. I also haven’t come across one single other hunter while hunting. I’ve gotten 1 picture of a guy on my trail camera, and it’s where I was looking for hogs so no big deal. It may be public land but it really doesn’t seem to be used as much as one would think. Now that may be different this year, but I highly doubt it for some reason. I will be out there this year and many more years PMWMA is a little hidden gem and i hope it stays that way for as long as it can eventually it will get more hunters out there. 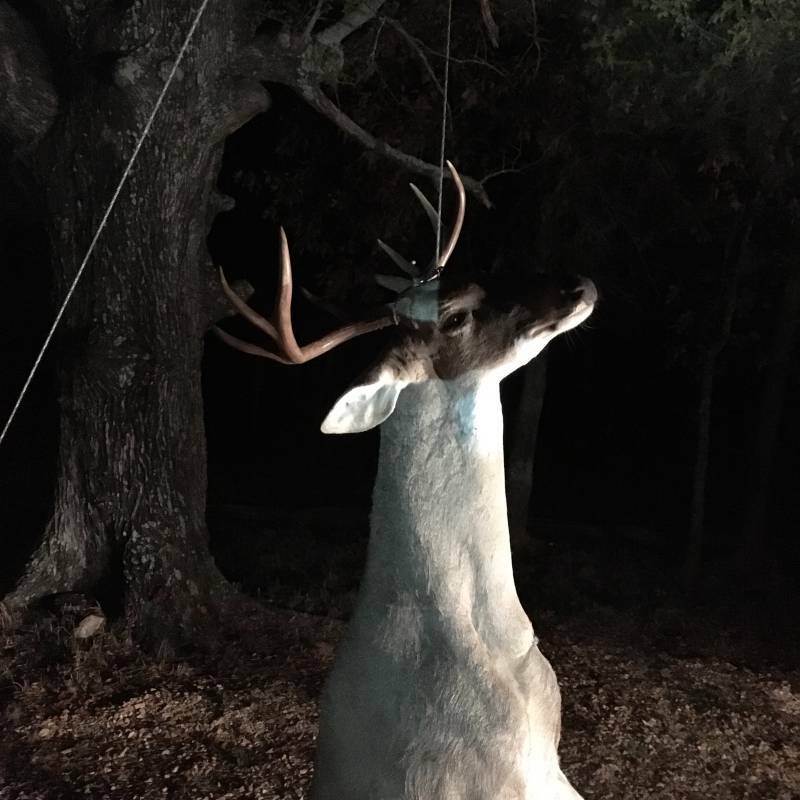 I got a buck 2 years ago and hope to harvest another one this season. I got to hang and gut this one in the ptwma camp ground. It was an amazing feeling. nice lookin buck Quick, you been out scouting this summer yet? Quick, i think we hung out at camp on opening weekend last year man. We all have to be careful around pat Mayse! Big foot and his family apparently live out in these parts. I seen it on youtube so it is definitely true! I lived in lamar point for a while and used to hunt all that type 2. There are some really big deer out there !! A lot of pics of this pair. Daily for last week. 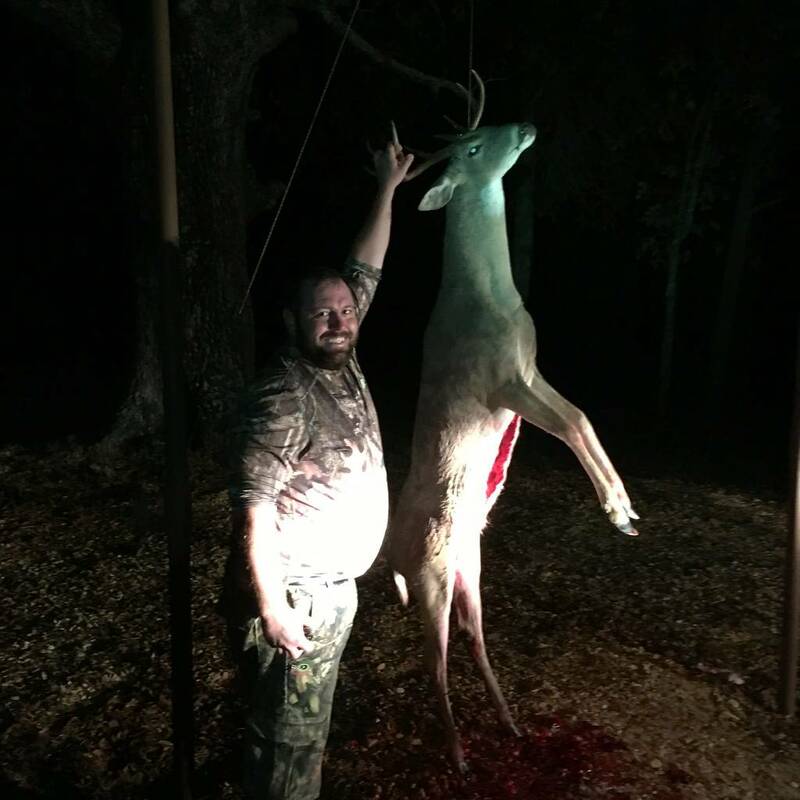 Last edited by outdoorsnetx; 08-12-2018 at 07:31 PM. Always good to see fawns. Means those **** yotes aren’t getting them all. Were you out today checking cameras? Yeah I went out earlier before noon. You see me? I will be out opening weekend. How have you been. Yes i have been out a few times. Month and half needs to get here. I was walking in the rain lol. Felt great though. I almost was. I took the wife with me and she wanted to take the longest stroll ever haha. Saw some hogs driving in and almost caught one with my hands but those guys are quick lol. Anyone else done any scouting? How about around Cooper or caddo grasslands? What do y'all think about most of pat mayse being prescribed burned this past year? Help or hurt this season? Last edited by outdoorsnetx; 08-20-2018 at 11:35 PM. I will be out there early Saturday. Can't wait. Anybody have any luck this weekend? Hunted almost all day Saturday. Nothing came through except a big pig before sunlight. Squirrel Hunters came through around 10am prob 2-300 yArds from me shooting 22s... Not sure if they ruined the day or not. I'm assuming so though. Will be out again Saturday. Anyone else? Saw a couple does and good group of hogs. Missed both shots on the piggies. I think hunting from a tree stand is the way to do it. I seen 4 good shooter bucks the biggest 10pt i have ever seen chasing a young doe/fawn and about 20-30 hogs which a buddy of mine shot 1. Haven't seen crap at lbj this year. Y'all hunt the corps land or the WMA? You seen that 10 at pat mayse this year, quick? I have spots on both the corp and wma. Hoping to catch a nice 8 point I had on camera late in the season last year to pop back up soon. Anyone know if this area is prone to flooding? With all of the rain recently, trying to decide whether or not its worth it to trek out there this weekend. It is very prone to flooding on the bottoms and some areas around the lake. My plan is to be out tomorrow am. I really enjoy spending time in this WMA. It is big and when I see other vehicle I don't despair. I know I can find some space and rarely see other hunters. I will be out there again this weekend trying to fill a tag. I've hunted here consistently since the opener and am still trying to learn how deer use the terrain here in Texas. I grew up in the northeast and moved here last year. The Post Oak Savannah is completely new to me but I'm liking what I'm seeing.